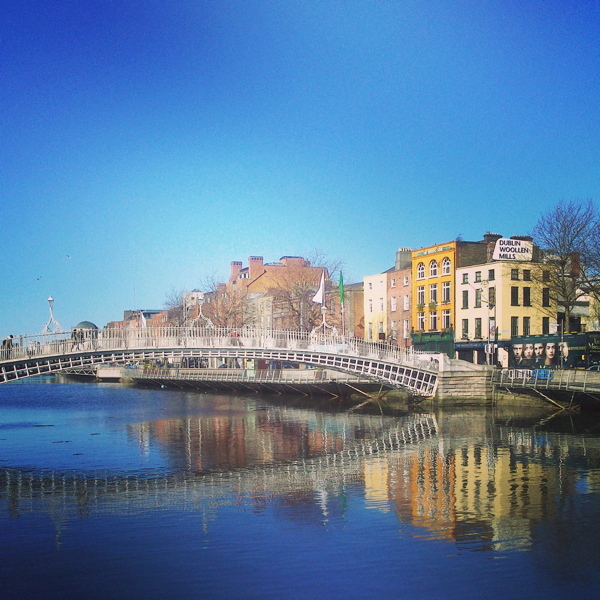 View of Dublin's 1816 Ha'penny Bridge nearby Temple Bar. Invited by Dublin City Council: The Arts Office, Latitudes visited art spaces, artists' studios and galleries in Dublin and Derry-Londonderry throughout the week. 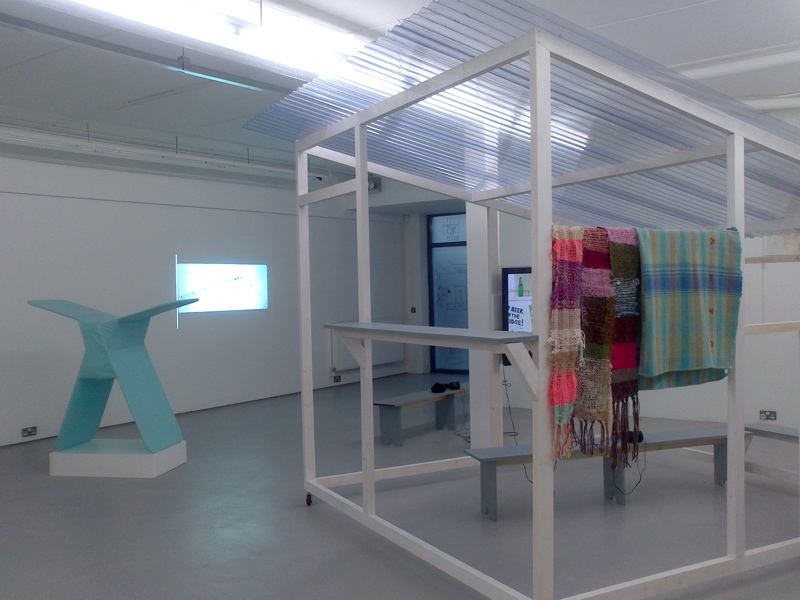 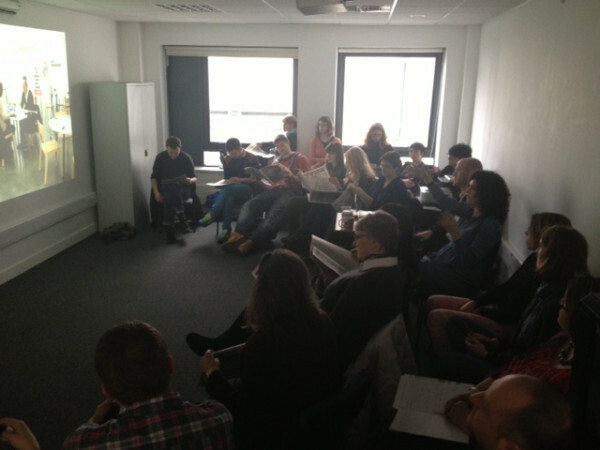 The schedule included visits to the Red Stables Studios; Temple Bar Gallery + Studios; Fire Station Artists' Studios; Green On Red Gallery; Kevin Kavanagh Gallery and Project Arts Centre - Visual Arts, as well as talks by Latitudes to students of the MA in Visual Arts Practices (MAVIS) (8 March, 3pm), and at the recently inaugurated CCA Derry~Londonderry (9 March, 7pm) as well as participation in the seminar "Within the Public Realm" at the Dublin City Gallery The Hugh Lane (12 March, 2–5pm), alongside curator Aisling Prior and the artist Sean Lynch. 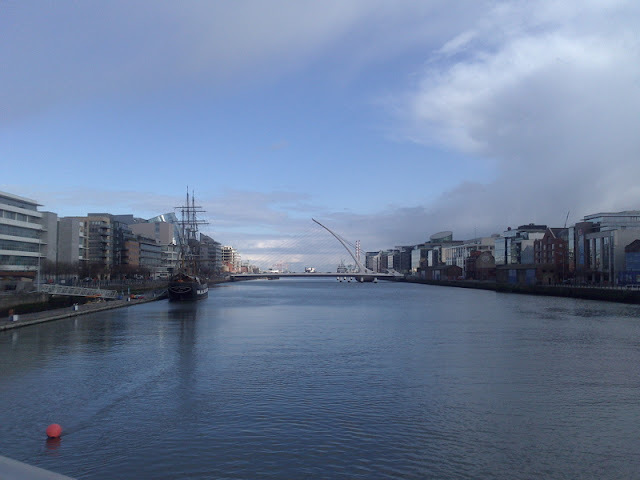 Latitudes was invited to Dublin in the context of the Barcelona Mayor's visit to Dublin and the renewing of the twinning agreement between the two cities. 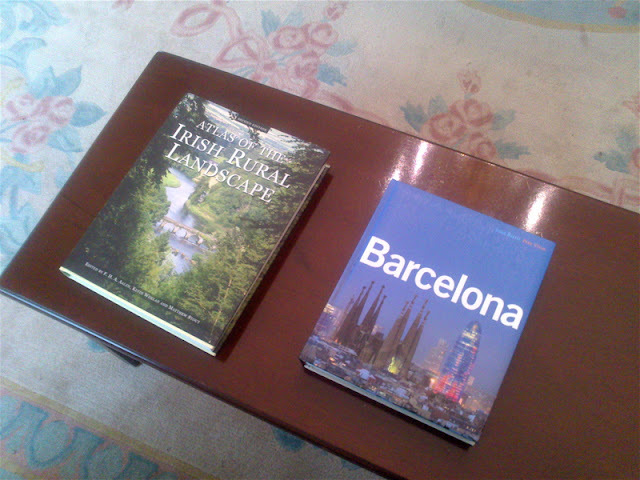 Here a coffee table at the Lord Mayor's Mansion House displays "Atlas of the Irish Rural Landscape" and "Barcelona" books. 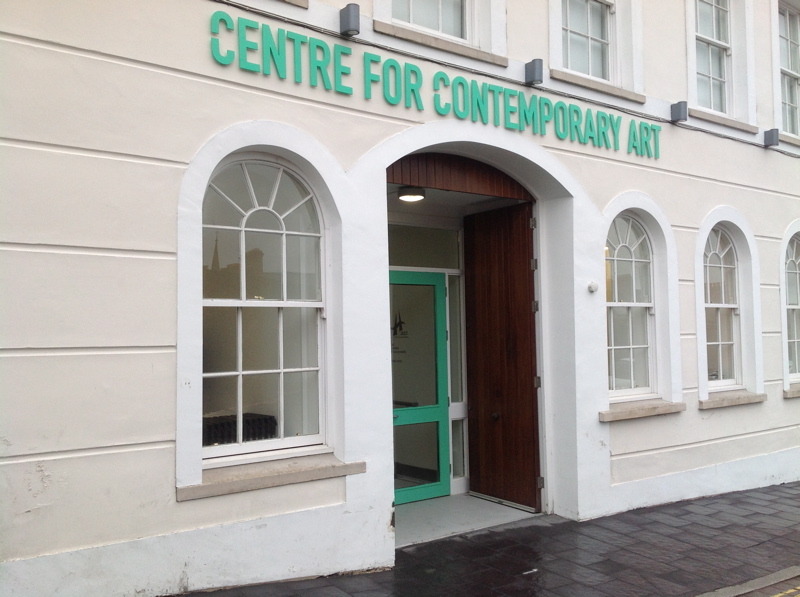 9 March: After +4h bus ride north, we arrive at Centre for Contemporary Art in Derry–Londonderry for a talk that evening at 7pm. 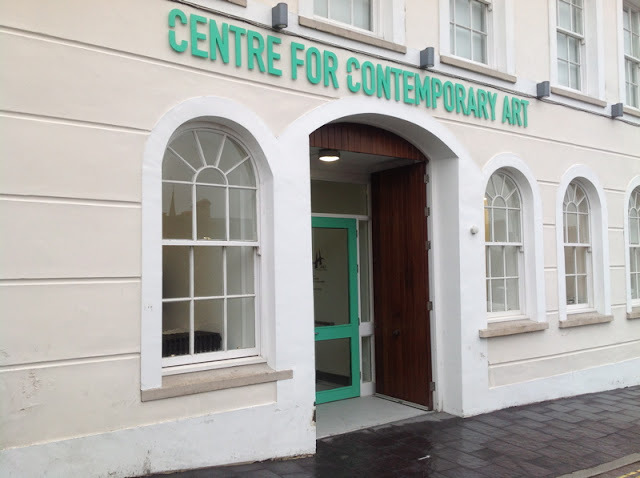 View of CCA's galleries hosting the touring exhibition The Grand Domestic Revolution GOES ON (GDR), which in Derry-Londonderry "focuses on the contemporary working conditions of caregivers—primarily mothers and grandmothers—in the domestic sphere." 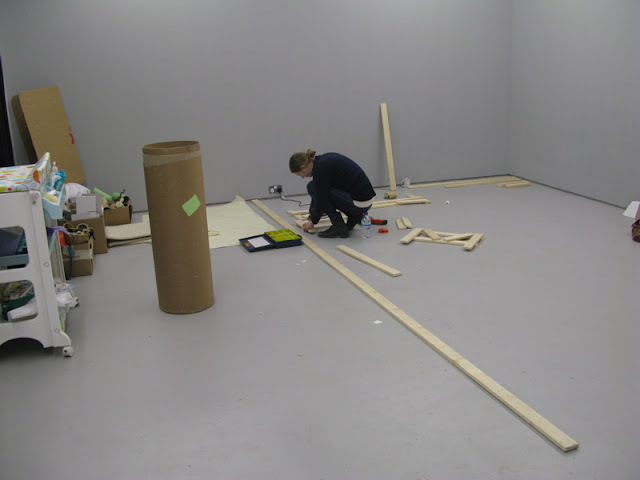 In the galleries, two of the London-based design collective Åbäke (Patrick Lacey, Benjamin Reichen, Kajsa Ståhl and Maki Suzuki), building a bed inspired by a 1970s design by Enzo Mari. 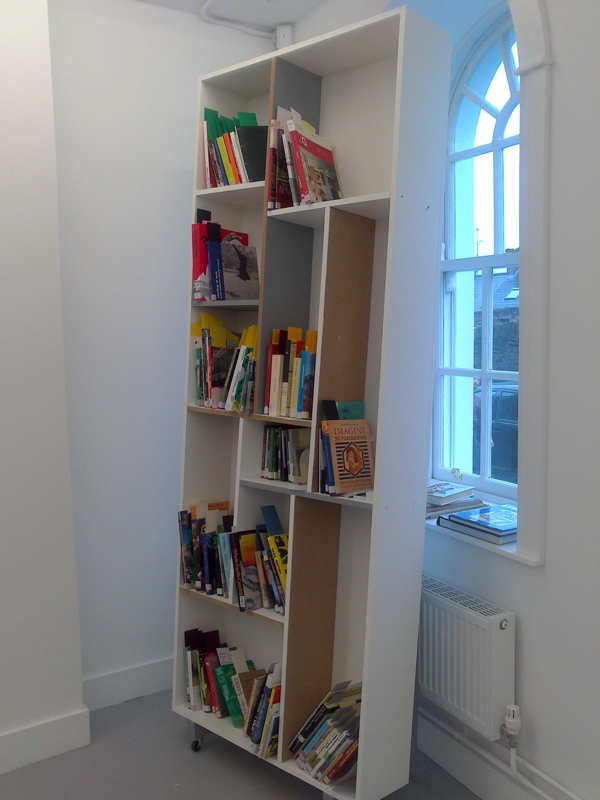 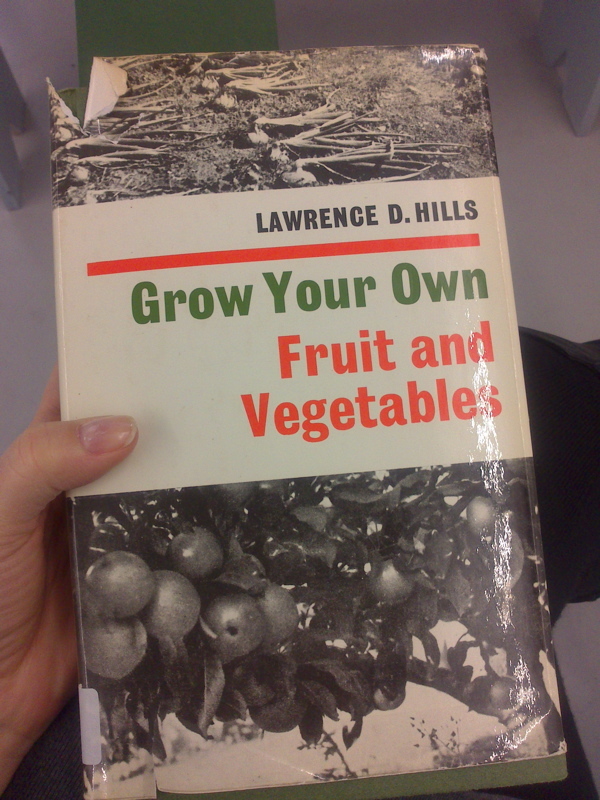 Collection of books on domestic spaces, DYI, cooking, gardening, self-build architecture, urban planning, etc. 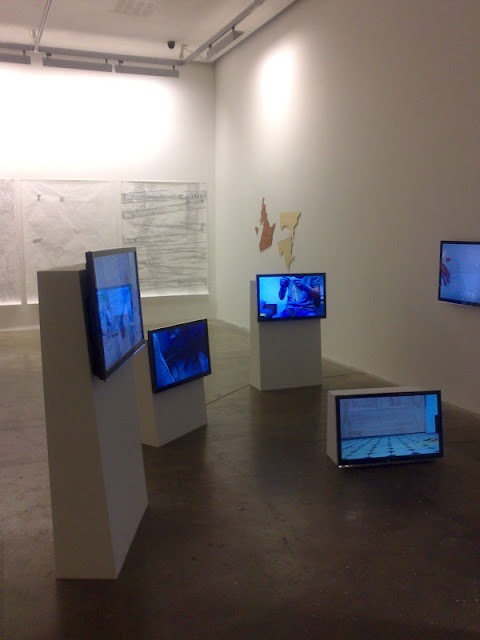 accompany the The Grand Domestic Revolution GOES ON (GDR) exhibition. 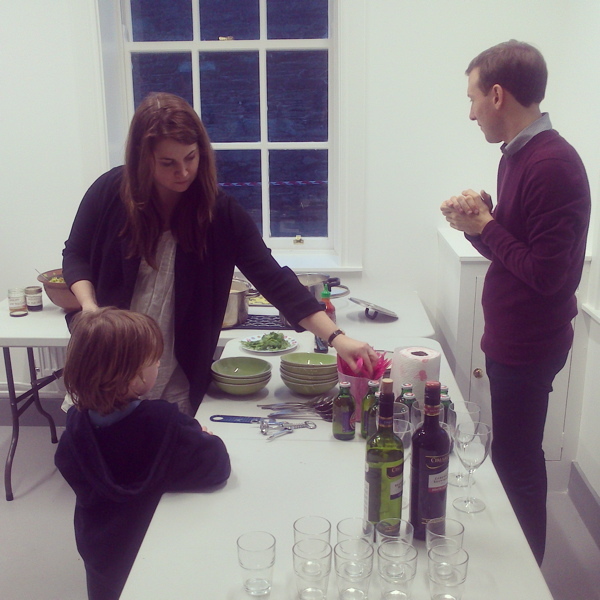 Aileen Burns and Johan Lundh, co-directors of CCA Derry–Londonderry, hosted a wonderful Thai pre-talk dinner. 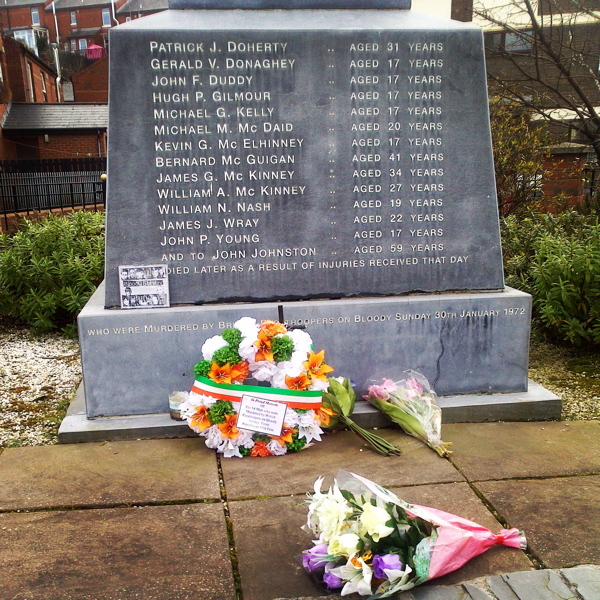 Sunday walk around the Bloody Sunday Memorial and the Bogside area of Derry-Londonderry. 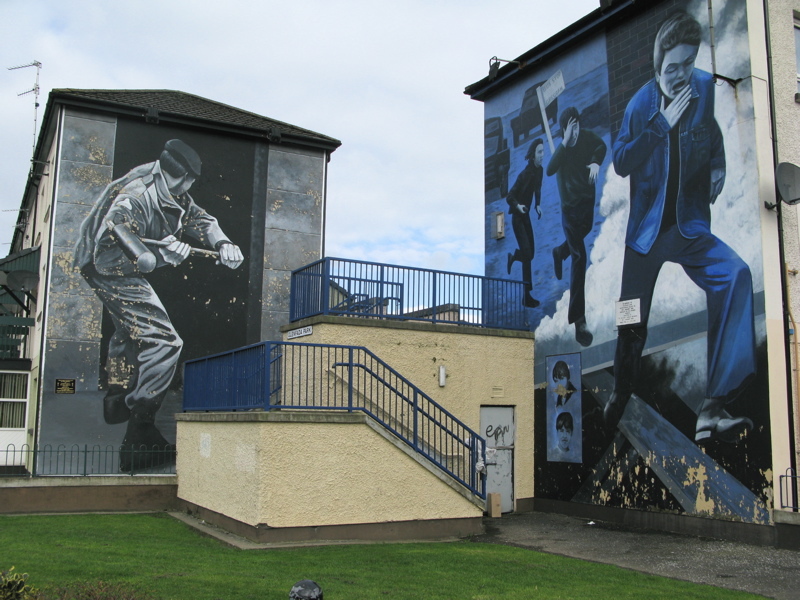 Two of the murals around Bogside. 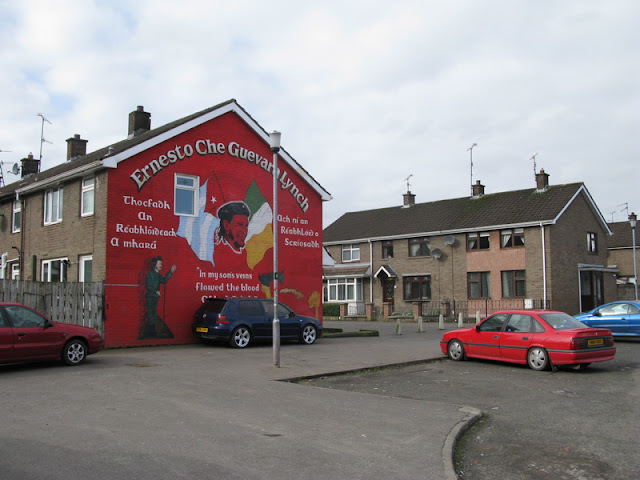 Ernesto Che Guevara Lynch mural in Derry-Londonderry's Bogside. 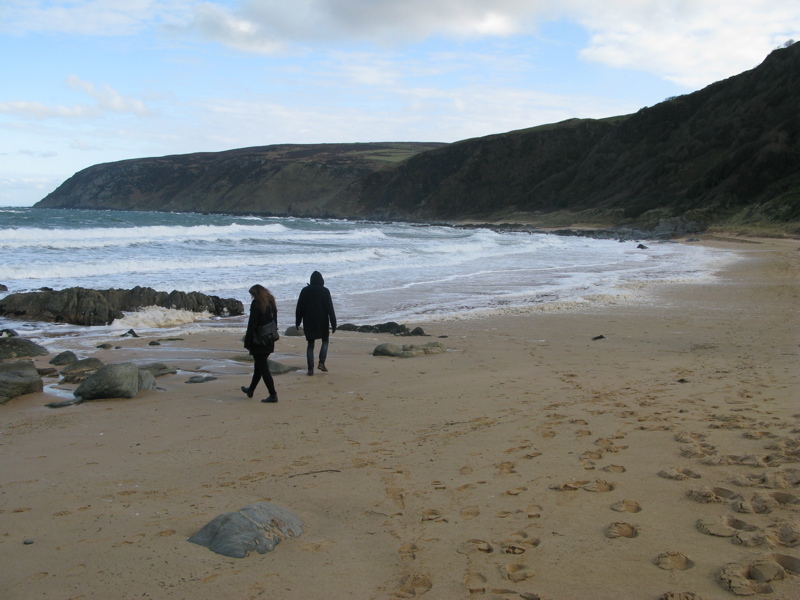 With Aileen and Johan at Kinnagoe Bay in Donegal, site of 1588 shipwreck of one of the Spanish Armada ships. 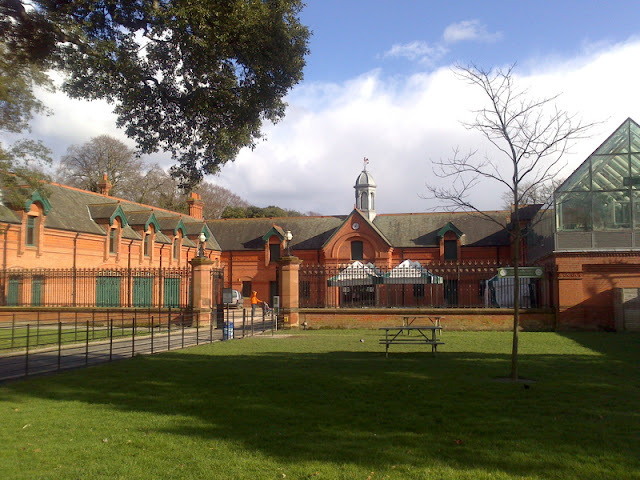 11 March: Back to our temporary home in Dublin's The Red Stables in St. Anne's Park. 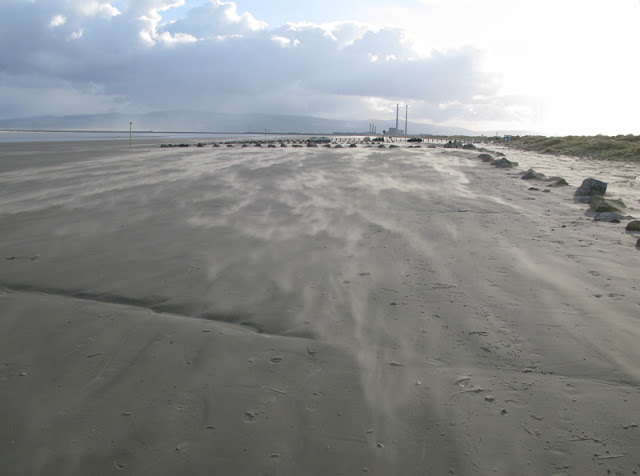 A windswept North Bull Island looking towards the city. 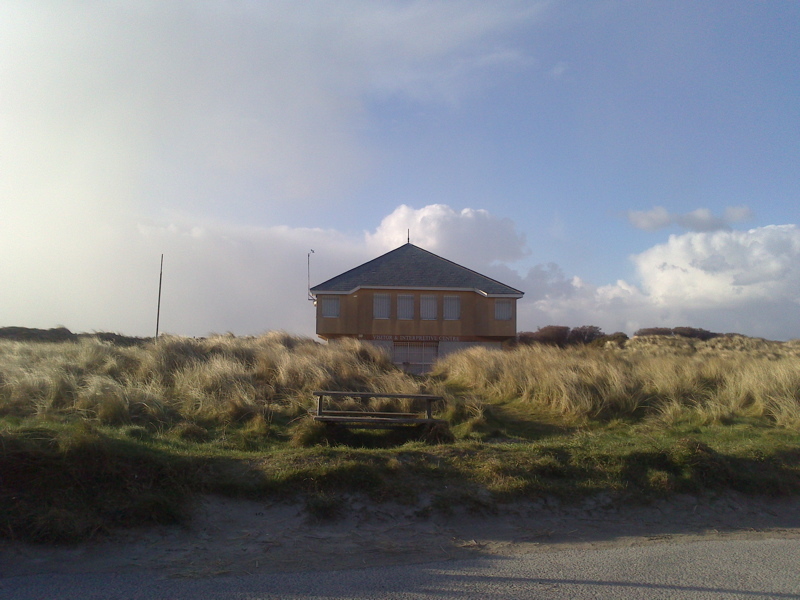 Visitor Centre at North Bull Island. 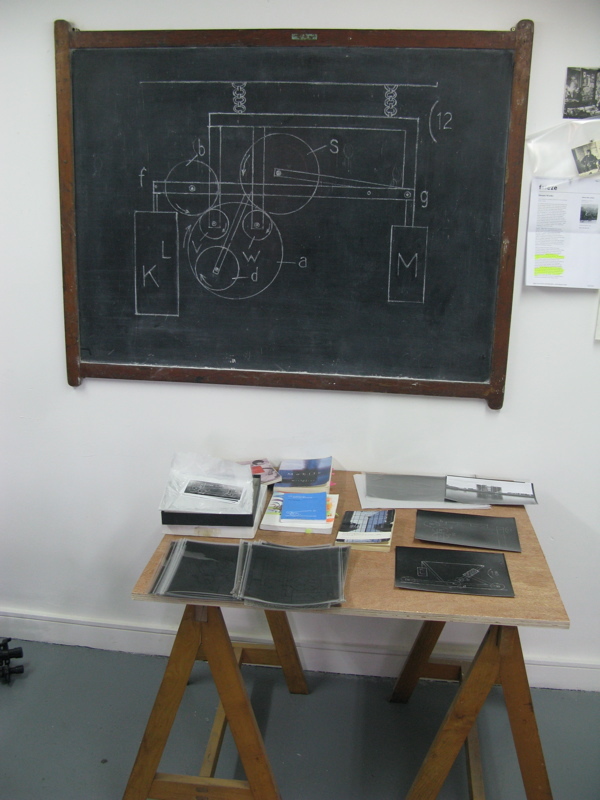 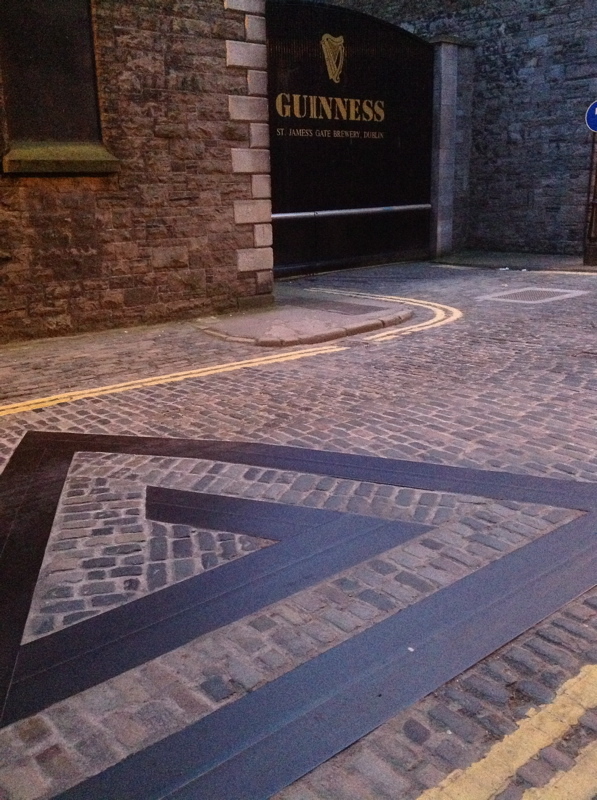 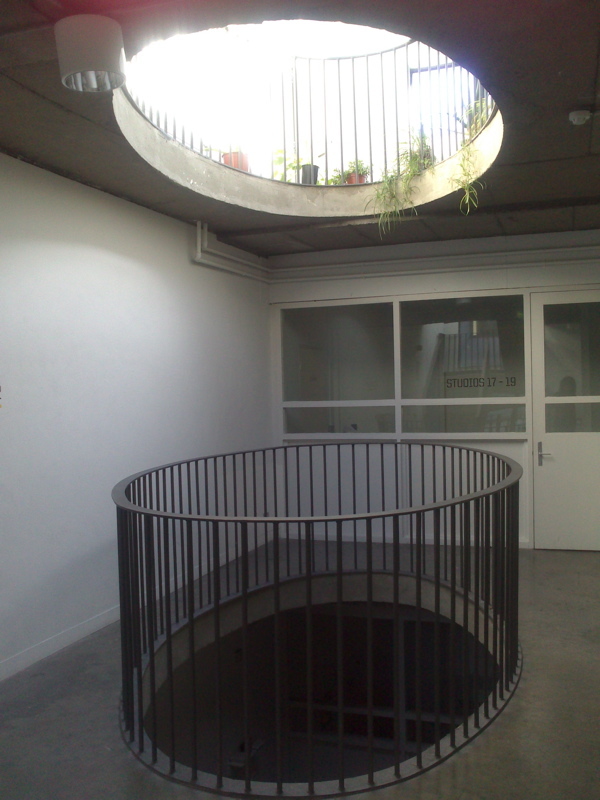 12 March: Studio visits at Temple Bar Studios + Gallery in the heart of the city. 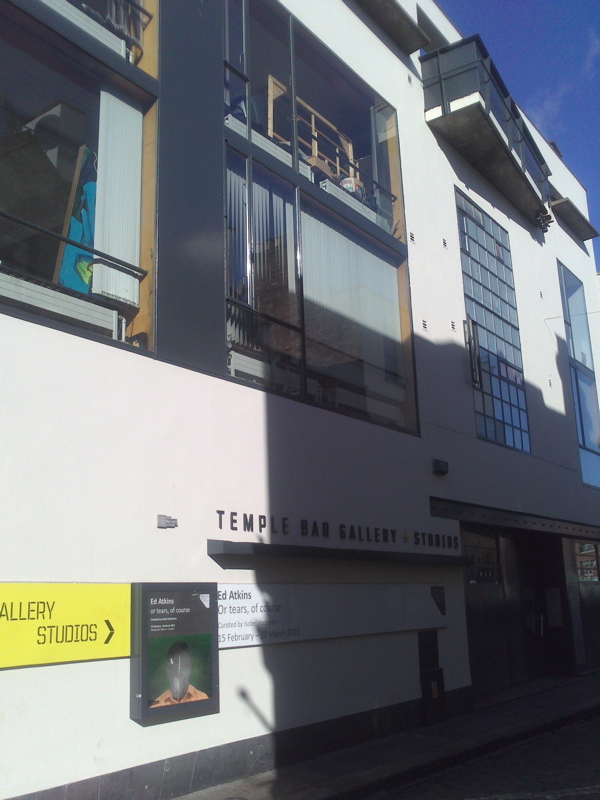 Temple Bar Studios + Gallery, a former shirt-factory building, celebrates its 30th anniversary this year. 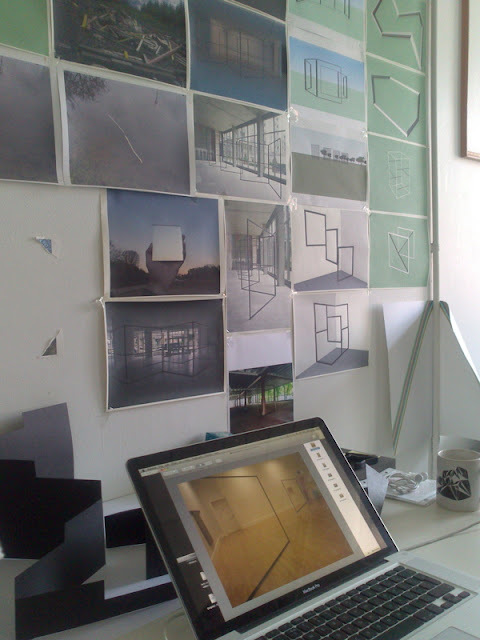 Studio of artist Alan Butler, one of the 30 on site. 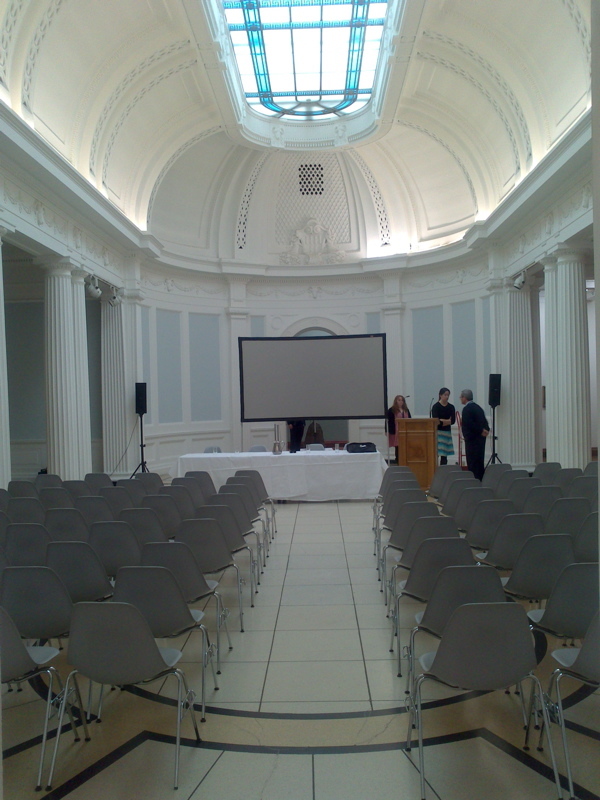 Setting up for the 2–5pm talk at The Hugh Lane Dublin City Gallery organised by MAVIS, The Hugh Lane and Dublin City Council. After the seminar, artists Sean Lynch and Michele Horrigan took us to see the 'failed' Richard Serra nearby the Guiness factory. 13 March: Visiting the sculpture workshop facilities of Fire Station Artists' Studios with Development Manager Liz Burns and Director Clodagh Kenny. 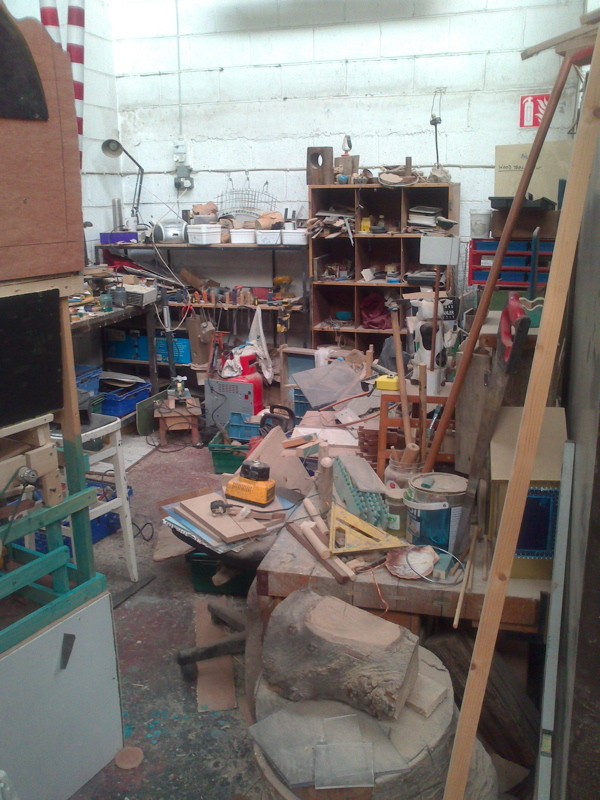 Studio of Martin Healy in Fire Station Artists' Studios and his work around perpetual motion. 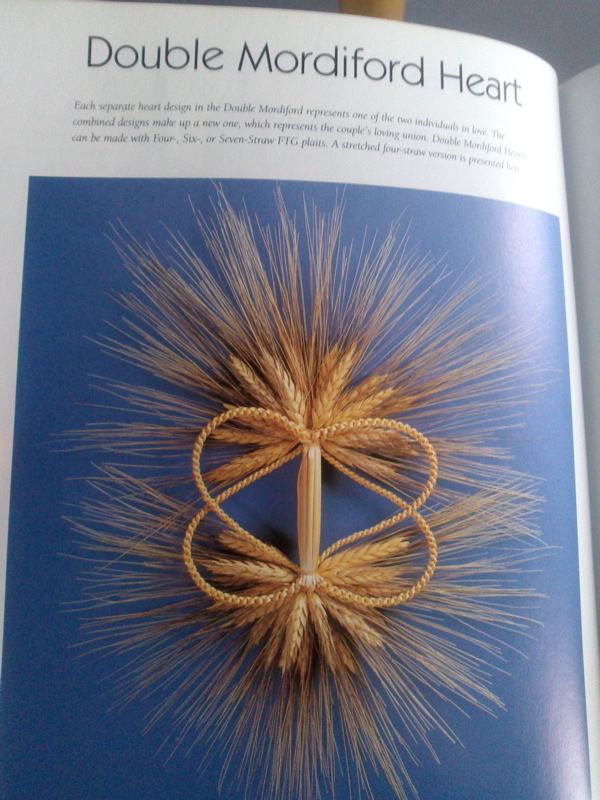 Artist Maria Mc Kinney research on wheat weaving and straw craft techniques for her project 'Garlands'. Karl Burke "wooden drawings" photos and renderings. Crossing the Sean O'Casey bridge to begin a gallery tour including Green on Red Gallery, Kevin Kavanagh Gallery, The Douglas Hyde Gallery, Project Arts Space and Temple Bar Studios + Gallery, with Dublin-based critic, curator and Senior Lecturer at the School of Irish, Celtic, Folklore & Linguistics, Caioimhin MacGiolla Leith. 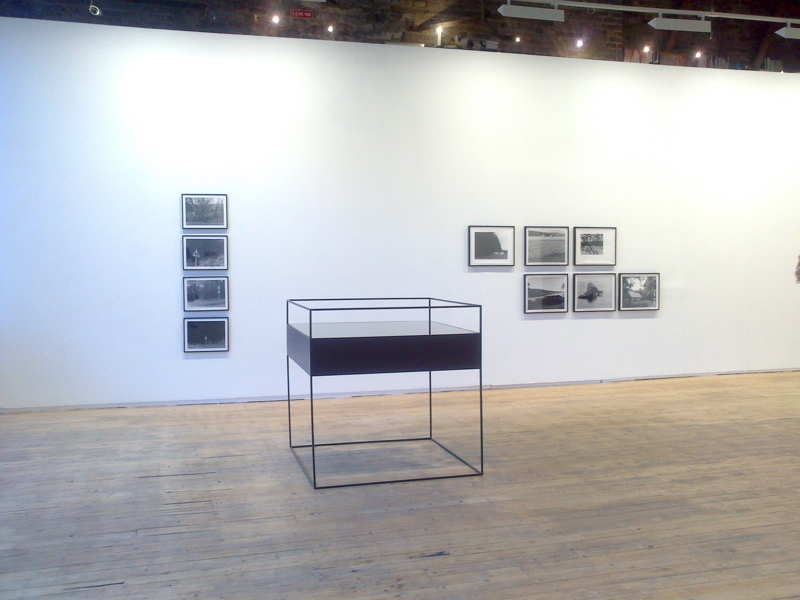 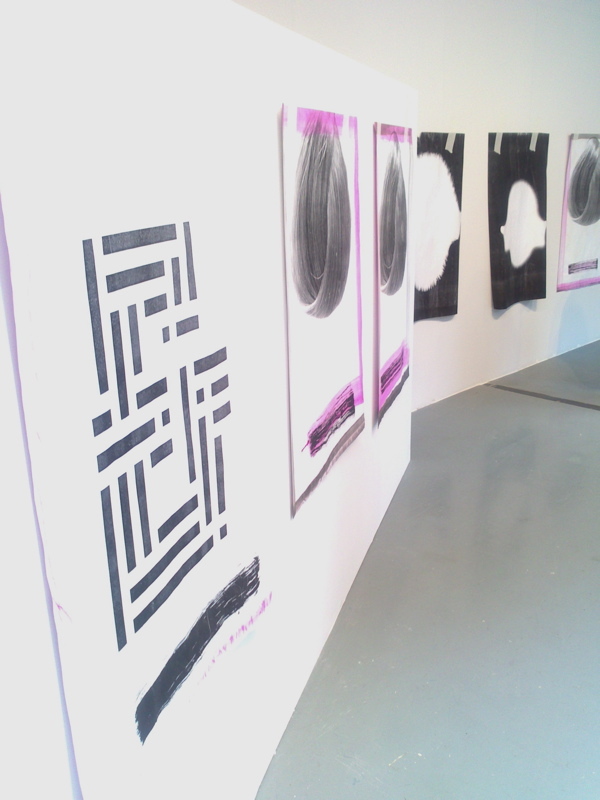 Group show "Material Fact" at Green On Red Gallery included works by Silvia Bächli, Paul Doran, Dennis McNulty and Gerard Byrne (photographed), one of the more well-known Irish artists. 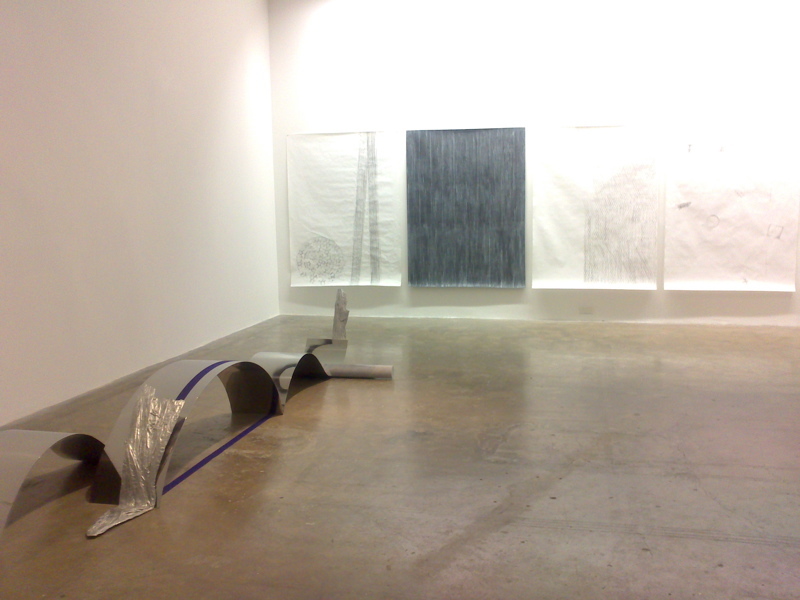 'Detached' group show at Project Arts Centre, guest curated by The Artists' Institute director and founder Anthony Huberman, recently appointed Director of CCA Wattis in San Francisco. 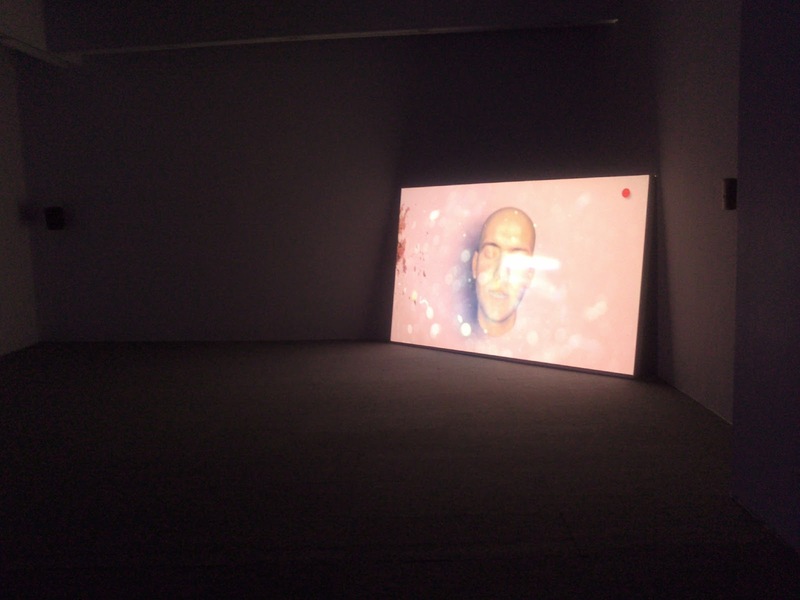 Temple Bar Studios + Gallery, hosted 'Or tears, Of Course' a solo show of British artist Ed Atkins (photos above and below). 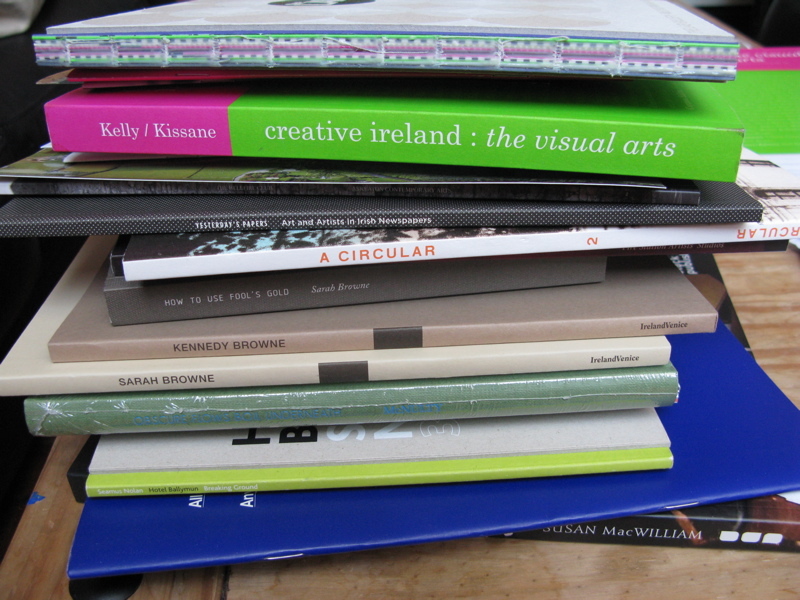 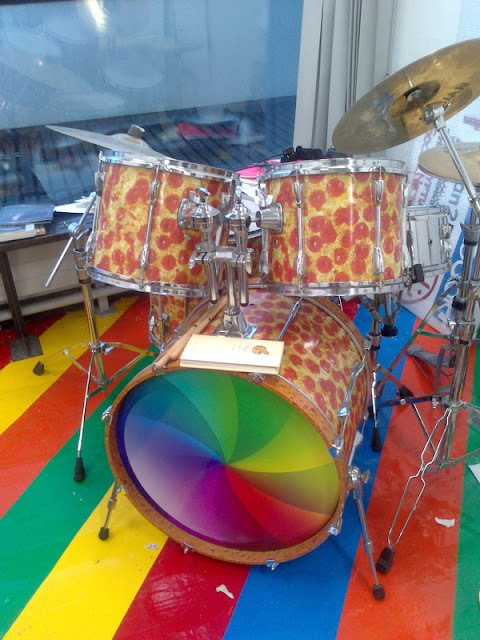 Gathering plenty of material during studio visits, lunches, dinners and meetings. 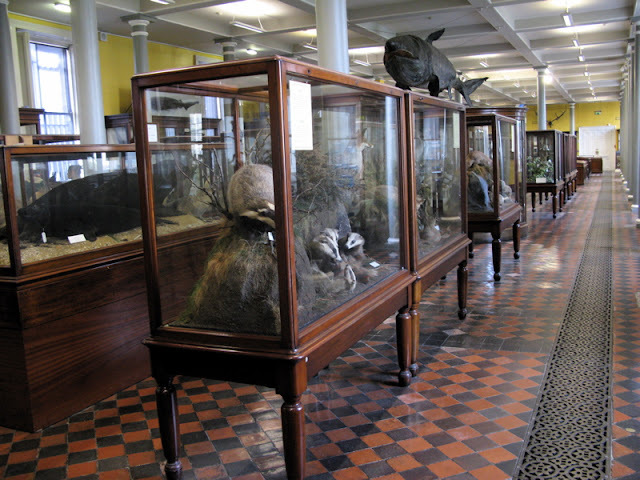 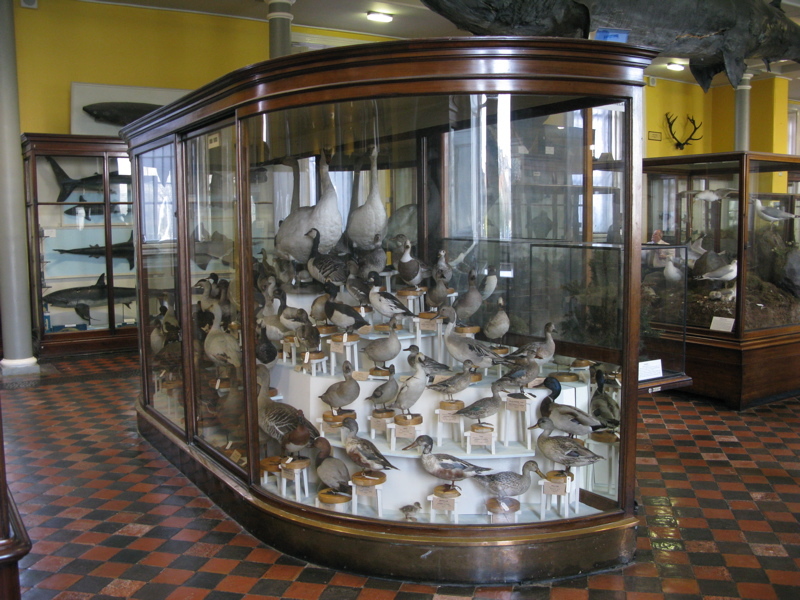 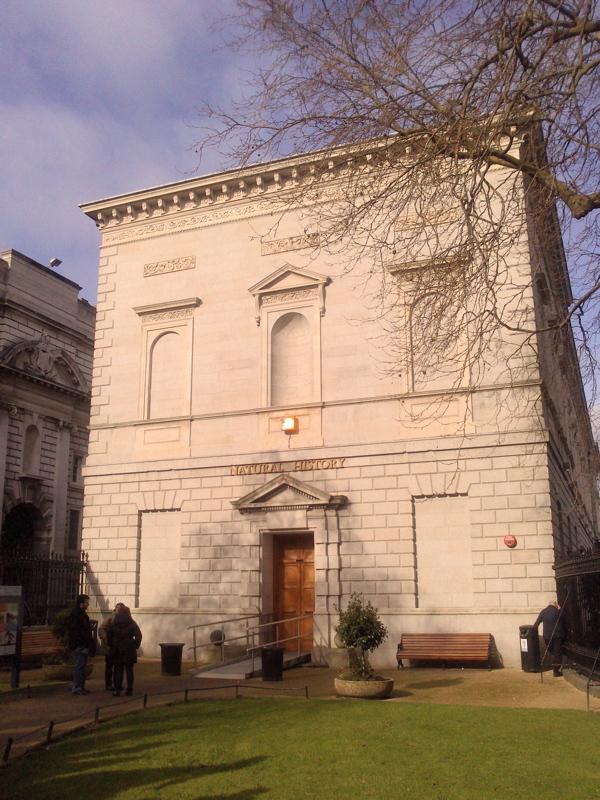 14 March: Morning visit to the wondrous Natural History, a 1857 building displaying "animals from Ireland and overseas, also geological exhibits from a total collection of about 2 million scientific specimens". Ground floor gallery dedicated to dedicated to "Irish animals, featuring giant deer skeletons and a variety of mammals, birds and fish". The minimal education department are doing a great job at dynamising the nicknamed "Dead Zoo" or "Museum of Museums": The 5 year old giraffe has her own twitter account @SpotticusNH and they will soon host a "night at the museum" event where a few kids will be able to sleep (or try to) in the museum galleries. 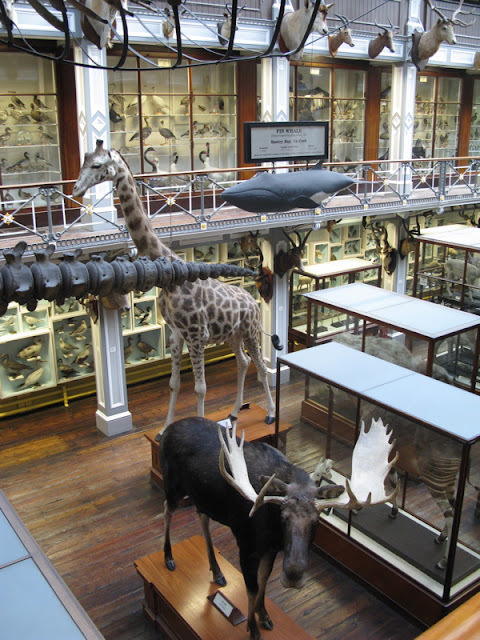 The stunning upper gallery was "laid out in the 19th Century in a scientific arrangement showing animals by taxonomic group. 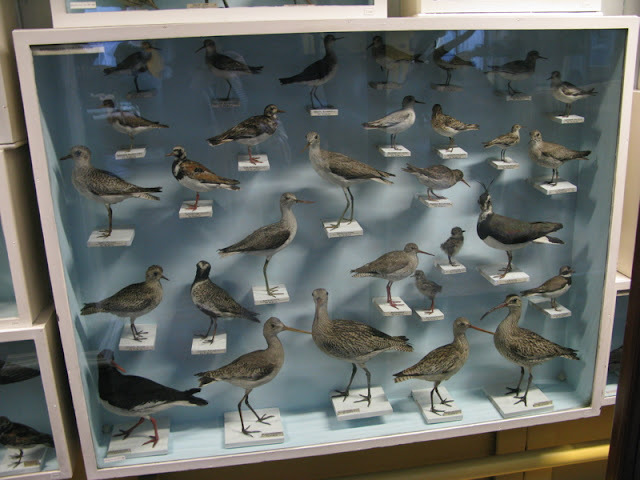 This scheme demonstrated the diversity of animal life in an evolutionary sequence." 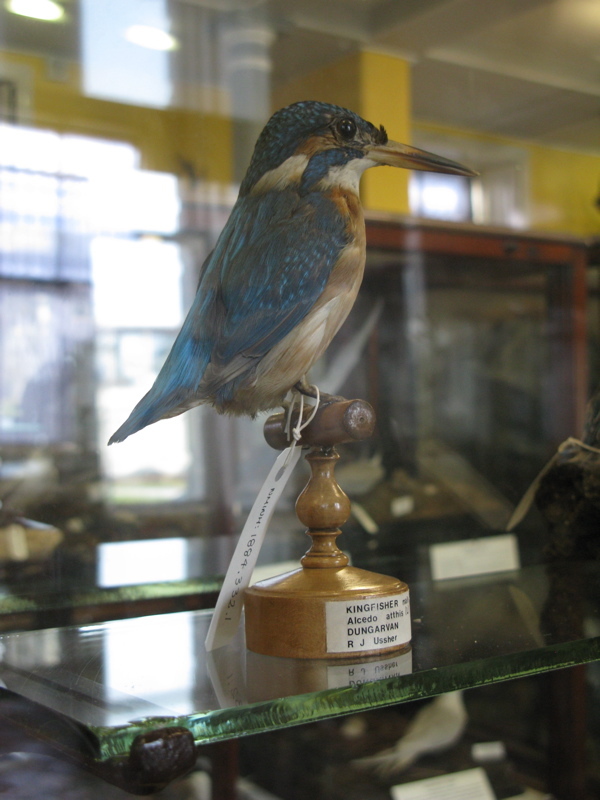 Unfortunately the second and third floor balconies have been closed due to a safety review as they do not comply with current safety regulations, which impedes visitors from seeing, amongst many other things, the museum's unique collection of glass models manufactured in Dresden in the late 19th Century by the father-and-son team of Leopold and Rudolf Blaschka.